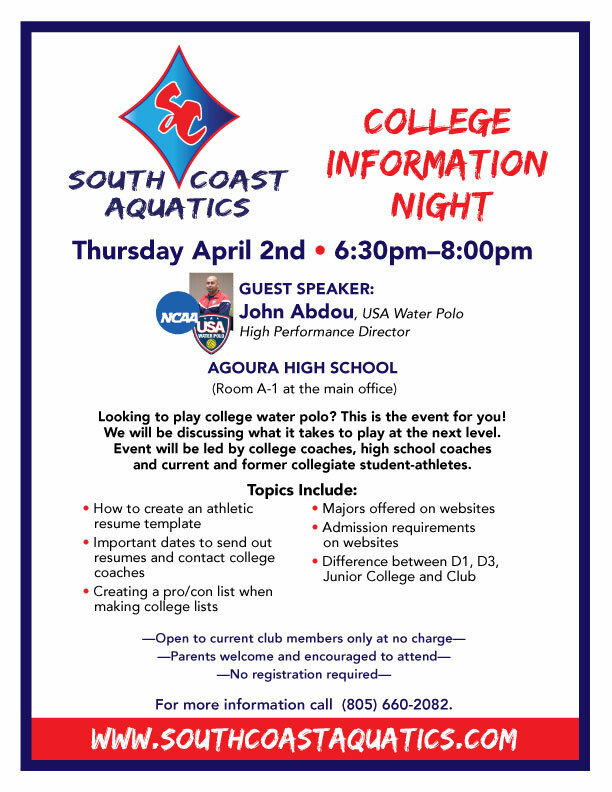 South Coast was founded in 1989 and provides year-round programs designed to teach water polo & swimming fundamentals, as well as sportsmanship and enthusiasm to athletes of the Conejo Valley and surrounding areas. South Coast is dedicated to maintaining a positive sports atmosphere with encouraging coaches who create an environment where athletes reach their potential as they learn the fundamentals water polo & swimming, while developing long lasting friendships and fitness habits. Click here for informtion about our CRPD Summer Programs! For tournament dates and swim meets, please visit your teams page. All-Americans announced by USA Water Polo! Great job in the classroom!